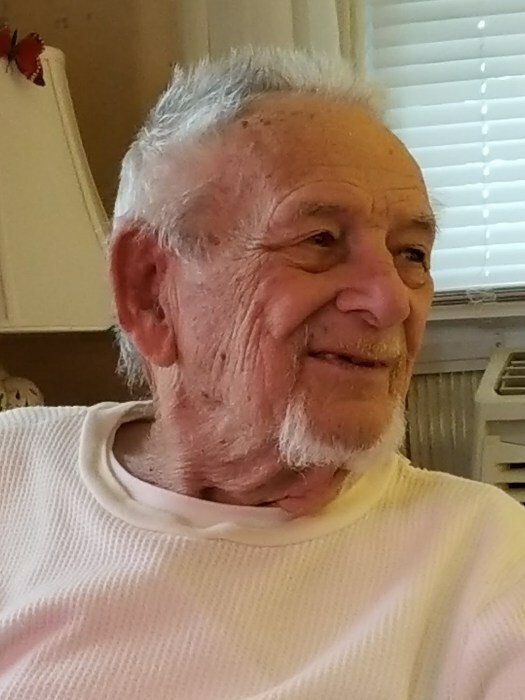 William F. "Pop" Richards, Sr.
William F. “Pop” Richards, Sr.
Age 89, of Claymont, DE passed away peacefully at home on Tuesday, December 4, 2018. Pop was the son of the late Benjamin and Grace Richards. He had 2 brothers, Benjamin and George and 3 sisters, Laura, Dorothy and Grace, all deceased, the circle is finally complete. Pop was born in Darby, PA and moved to Claymont in1962. He enlisted in the army and proudly served in the Korean War from 1948-1952. Pop was a proud veteran. He worked for Phoenix Steel, owned a catering truck and was a member of Local 172 Laborers Union of Trenton, NJ. Pop was a avid Philly Sports fan. He loved the Eagles and the Phillies. He got to see the Eagles win the Super Bowl, Go EAGLES. He also loved to sell his Super Bowl shirts and play the lottery. Pop had 5 sons and 1 daughter. He was predeceased by sons, William Jr. and Thomas; stepson, George Troutman; stepdaughter, Sharon King; and step granddaughter, Donna Snyder. He is survived by sons, Robert (Mary), Donald (Edwina), John (Linda); daughter, Kathleen (Neil); longtime companion of 50 years, Jean Troutman; 3 stepsons, Rick, William, Timothy; 3 stepdaughters, Billie Jean, Joyce, Francis; 41 grandchildren, 45 great grandchildren; and 9 great great grandchildren. Pop was loved by many and will be sadly missed by all. Rest In Peace Pop (u da man), we all love you. A Viewing will be held Friday, December 14, 2018 from 12pm to 2pm at Gebhart Funeral Home, 3401 Philadelphia Pike, Claymont, DE 19703, where a Funeral Service will begin at 2pm. Burial will be private.